Cape Town is known for its incredible and diverse food scene and vegans and vegetarians will never go hungry in the Mother City. Here are some of our favourite vegan-friendly eateries, offering everything from quick takeaways to delicious gourmet meals. This cosy hangout specialising in hearty, preservative-free, plant-based food is located on Orphan Street, just off Bree Street in the CBD. Their 100% vegan menu includes everything from pizzas, burgers, salads, and bowls to juices, smoothies, and decadent desserts. They’ve also added a stall at the Moyo Market to their offering, so you can grab a vegan bunless-burger or pizza on the go while in Sea Point. One of Cape Town’s vegan food gems is Plant Cafe. It calls the CBD home and is a fully vegan eatery that prides itself on its delicious, plant-based meals, smoothies, juices, and desserts. While you’re there you can also stock up on supplies like milk alternatives and vegan baking ingredients. A favourite among locals and visitors alike, Masala Dosa’s southern Indian fare is exotic, healthy and tasty. They have a dedicated vegan menu with delectable dishes made from only the freshest ingredients of the highest quality. The restaurant’s Earth loving efforts don’t just stop with food, they’re also big into recycling and they offer biodegradable packaging. 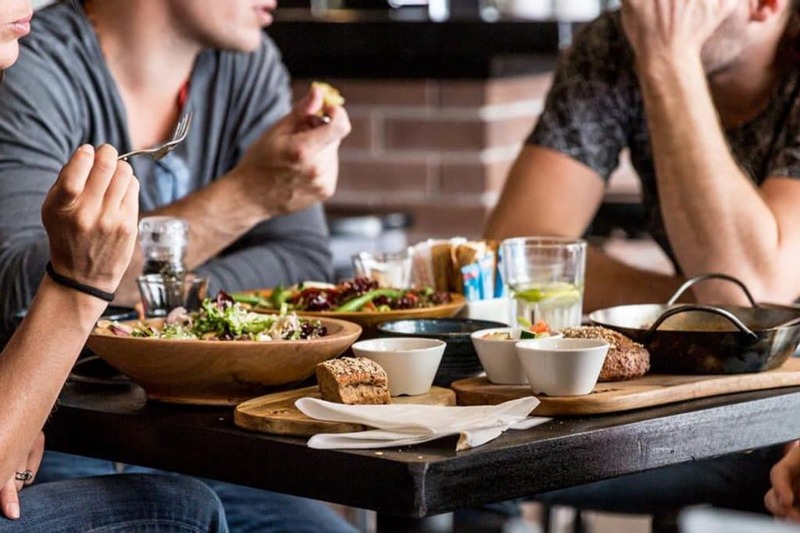 Not to be confused with Plant Café, Planet is a fine dining establishment where chef Rudi Liebenberg serves up a top class gourmet vegan menu, with dishes such as mushroom terrine, sweet pea risotto, and cashew cheese. This five-star boutique lodge at the foot of Chapman’s Peak has an exquisite fine-dining vegan tasting menu that will knock your socks off. 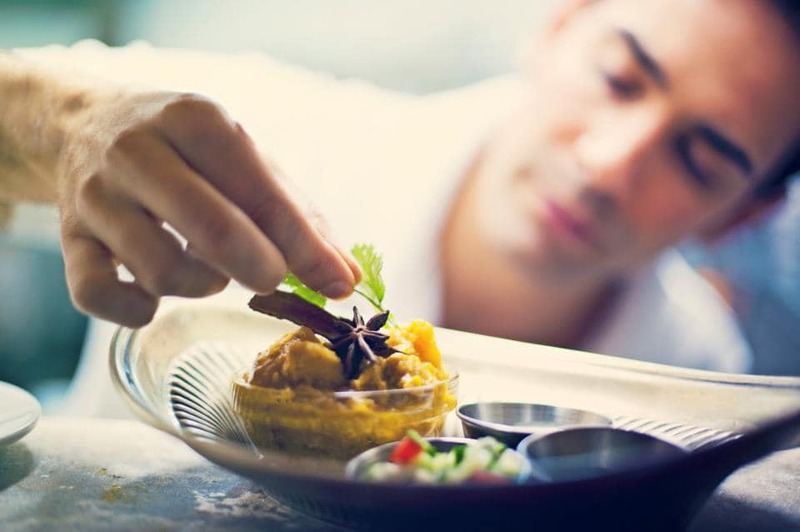 The four-course menu can be booked for lunch or dinner (advance booking is essential) and promises plates of plant-based goodness infused with flavours inspired by the indigenous flavours of the Cape. The only thing you’ll love more than the food will be the panoramic view. Craft Burger Bar in Sea Point is a build-your-own-burger eatery popular with both locals and tourists. While the real fun is in designing your own burger, they also offer delicious ready-made gourmet burgers, all with the option of substituting ingredients with vegan-friendly options such as vegetable patties. At the top of Regent Road in Sea Point, you’ll find a piece of heaven for ethical and health-focused foodies. 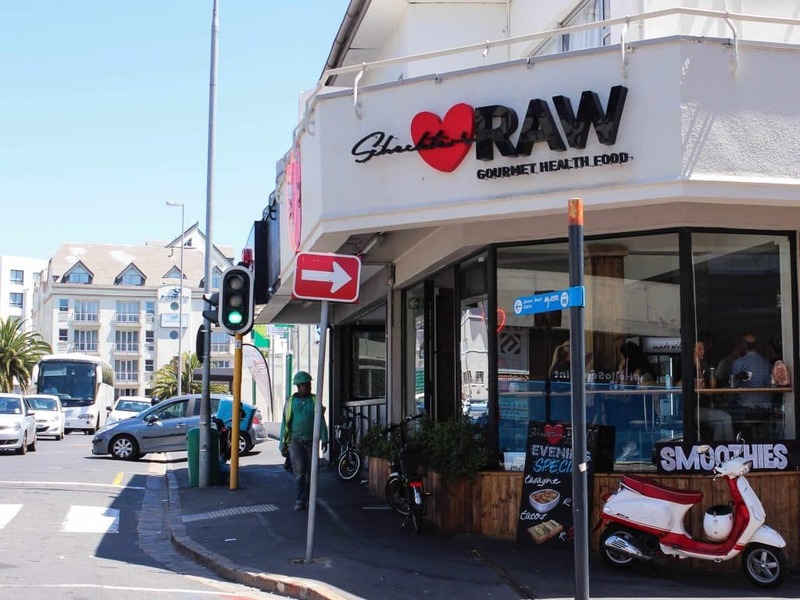 Inspired by the food trends and accessibility of good looking nutritious food in New York, Scheckter’s RAW has established itself as a favourite with Cape Town vegans. The food is inventive and indulgent, but nutrition remains the hero. If pumpkin pie flapjacks with vegan ice cream, a probiotic bowl, or smoothie with activated charcoal sound like your thing then you know where to find them. Heading out of the city towards the Northern Suburbs, you’ll find Indigo, a delightful Indian take-out spot that offers a wide variety of vegetarian and vegan options like potato samoosas, bean curry, and dhal bunny chow, and even a great burger and chips. They take their vegan cooking very seriously and have separate fryers for cooking these meals to ensure there’s no cross-contamination. If its raw food you’re after, Raw and Roxy in Bree Street is the spot. Offering gourmet meals, delicious desserts, tapas, and a range of juices, smoothies, and hot drinks, Raw and Roxy will change the way you think about raw food forever. The Bo-Kaap is home to a stylish new eatery dishing up nutritious and vibrant platefuls of goodness made with local produce. They’re above the local designer collective Bo-Op with a great view of the colourful Bo-Kaap. They cater for vegans, vegetarians, banters, and meat eaters too. They’re open for breakfast, brunch, lunch, and second lunch seven days a week. Try a hip smoothie bowl, pumpkin fritters, or the quinoa porridge. Finally, vegans have a gourmet junk food joint to get their gatsby fix in Cape Town. Lekker Vegan on the corner of Harrington & Barrack Street in town serves up accessible vegan fast food that anyone can enjoy. Their 100% plant-based options include mock chicken burgers, “beef” sandwiches, gatsybs, chip rolls, and bubblegum soft-serve. There’s nothing quite like a great pizza, and Sea Point’s Call-a-Pizza will deliver a steaming hot and healthy pizza to your door. Their extensive menu includes a myriad of vegetarian options that can be made vegan-friendly by replacing cheese with tofu. In addition, they also have a number of side dishes like salads, veggies, and spicy chips. Cape Town’s favourite artisan chocolate producers use only raw, organic cacao and a touch of the natural sweetener agave. Their chocolate is unique and crafted with love and care. At their cafe on Wale Street, you can enjoy delicious treats and shop their chocolate selection. Unframed Ice Cream in Kloof Street makes vegan ice cream so good you’ll never want to have traditional ice cream again. You’ll always find at least four coconut milk-based vegan flavours with more to come in the near future. Moro Gelato has some seriously creamy and delicious dairy-free sorbet to fall in love with. Their hazelnut and chocolate sorbet variants are so creamy and smooth, you would never guess it’s a water-based gelato. Find their store on the popular Long Street or visit their mobile truck at the Oranjezicht City Farm Market Saturdays at the Waterfront.